Looking for South Africa travel ideas for the next holidays? In fact, our list of favourite travel destinations in South Africa is endless ... but don't worry, here we will limit our list to our top 12 destinations for you! Here they are, our 12 top South Africa travel tips for your travels in South Africa. Important News! Please make sure you know about the new South African immigration regulations if travelling with children. From 1 June 2015 you must carry an unabridged birth certificate in English for your child when travelling with a minor to and from South Africa. Read more about the new law here. There are many unique places in South Africa are really special to us! The ones listed below definitely deserve to be explored and revisited again and again and could be your next South Africa travel destination as well. Enjoy the journey and feel free to join in on our conversation on Facebook and share your favourite places and your South Africa travel suggestions with us. Cape Town, South Africa's 'Mother City', is one of the best beach destinations in the world. But not only the beaches are worth a visit, take a stroll and take in the spice-filled air of the historic BoKaap, enjoy the vibrant atmosphere at the V&A Waterfront or hike up iconic Table Mountain, if you are fit and exploring in a group. 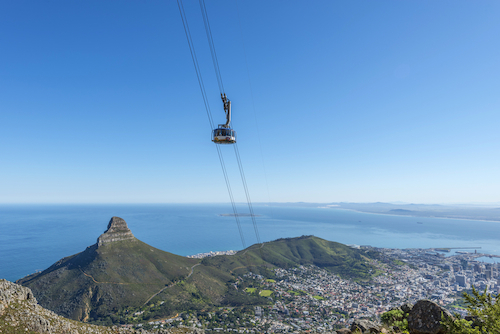 You can also ride up Cape Town's landmark, which was also voted one of the New7Wonders of Nature, in the cable car. Already more than 24 million visitors did take this 5-minute cable car trip to the mountain top. Take up of the cable way's fantastic 'Sunset Special' and enjoy the magical sunset over the city. Make sure to book a wine tasting tour in the Cape winelands. 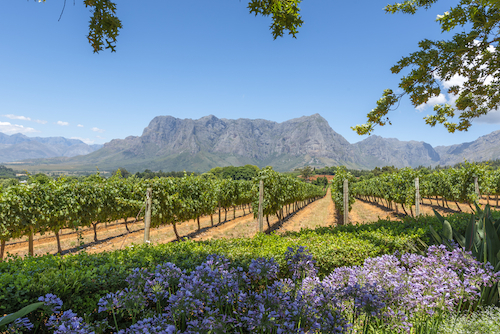 The Western Cape is home to more than 350 wine cellars and there is always some festival to join and there are lots of scenic wine routes around Cape Town. If you plan to visit the Cape in August, make sure to visit the Robertson Valley Slow Wine Festival or when planing to come in February or March, don't miss to visit one of the many harvest festivals. More about Cape wine harvest festivals. Driving further inland, the vast and often barren Karoo landscape has some special magic. Gaze at the millions of stars in the Karoo night sky. 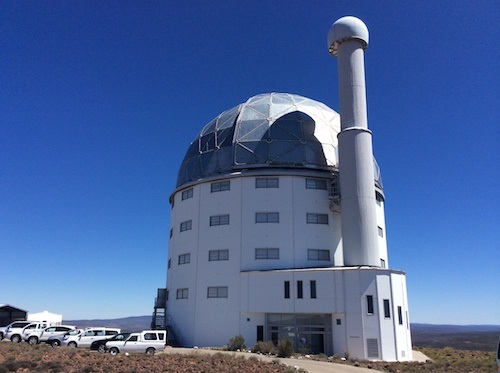 A tour at the Sutherland observatory and stargazing at nighttime is a highlight when visiting the Northern Cape. The South African Large Telescope, SALT, is the world's largest single optical telescope in the Southern Hemisphere and situated in this observatory. Stay a night in Sutherland and enjoy this unique opportunity. Read about our Northern Cape Tour here. From the Cederberg to the Drakensberg, there are lots of amazing hiking trails in South Africa offering many opportunities for adventurous hikes as well as for leisurely walks. One of our favourite places, however, is the serene Tsitsikamma forest in the Eastern Cape. If you enjoy coastal hikes, make sure to book a trip along the Dolphin or the Otter Trail in the Tsitsikamma Forest and soak in the awesome views. Read more about the Otter Trail here. The Eastern Cape offers some of the most remote and serene nature experiences. 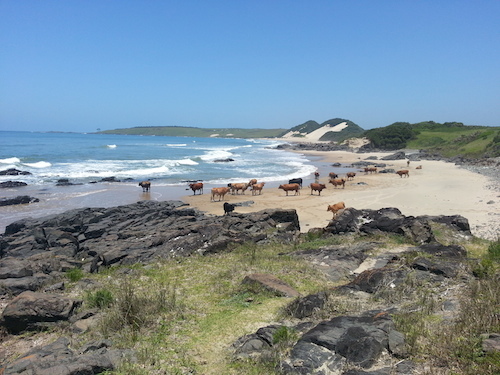 It's not seldom that you will encounter cows lying or walking on the beaches. The lush green rolling hills and colourful huts of the traditional Xhosa villages of the hinterland are very picturesque. 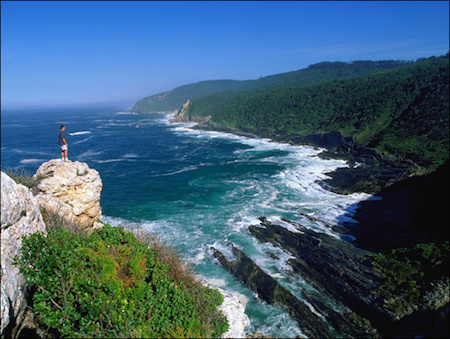 Coffee Bay and Port St John on the Eastern Cape's Wild Coast is top of our South Africa travel list to explore this year. If you need warm water temperatures to really enjoy splashing in the sea, then the warm waters of the Indian Ocean will be perfect for you. Durban in KwaZulu-Natal is one of South Africa's top surfing spots and was elected as one of the New7Wonders cities in 2014. Stroll along the beach promenade, taste some spicy Durban curry, visit the Sharks Board in Umhlanga or take the skycar up the Moses Mabhida stadium to get the best views over the city. The North West province houses a variety of great opportunities for a fun-filled short holiday, especially when travelling from South Africa's Gauteng province. Sun City, South Africa's premier holiday resort is situated in the middle of the bush veld, but still only a two and a half hour drive from Johannesburg. 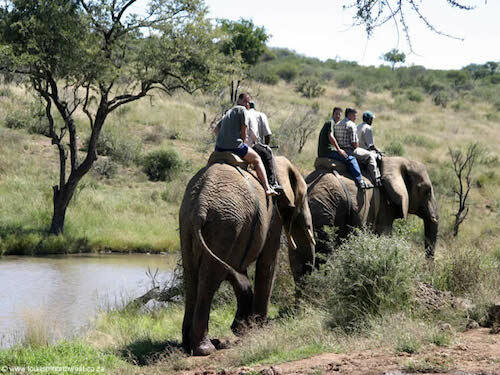 Visit the casino, play a round of golf, splash in the 'Valley of Waves' or go on an elephant back safari in adjacent Pilanesberg National Park. 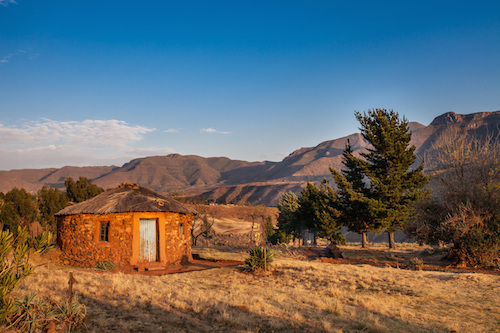 Amazing sandstone formations, ancient rock paintings and unspoilt mountain views will reward you for the longer trip to the mountain kingdom of Lesotho. Visit remote towns and picturesque villages along the Maloti Drakensberg Route and be amazed by the friendliness of the locals. The route spans through the Free State and Eastern Cape and KwaZulu-Natal provinces and activities in this region range from abseiling and zip-lining to pony trekking, fly fishing and even snowboarding. Kruger National Park is with 1.5 million visitors per year South Africa's major tourist attraction. 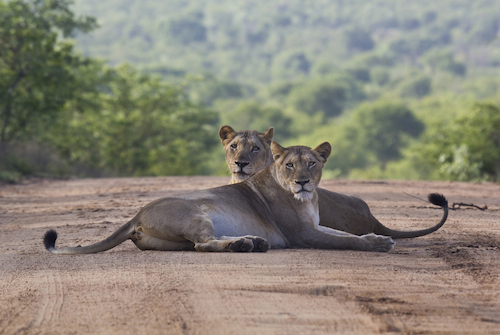 Here you can experience the 'Big Five' on self-drive trips. Several safari camps such as Skukuza are located inside the national park and staying there offers a true safari atmosphere. Remember to book early for tours and accommodation and take note of gate opening times. There are several access gates to the transfrontier park in the Limpopo and Mpumalanga provinces which offer strict access control and, during peak seasons, also limit day permits. Read more on the SanParks website. The Lisbon Falls are with 94 metres the highest waterfalls of the province. 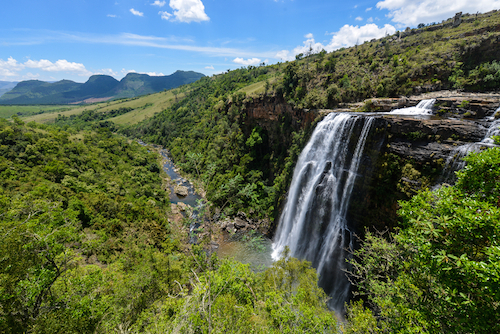 The awe-inspiring views of the numerous waterfalls along the 'Panorama Route' and the rolling hills of the Mpumalanga Lowveld are so worth a longer visit! The lush subtropical vegetation makes for splendid sights when travelling in the north eastern parts of the province. Also do not miss to explore the world's largest green canyon, Blyde River Canyon. More about the Panorama Route here. Have you ever seen those huge baobab trees? 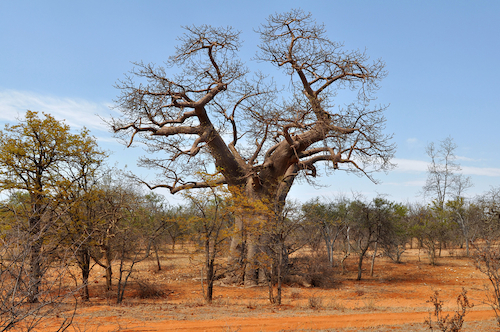 Limpopo offers some of the most scenic African landscapes and there are majestic baobab trees as far as the eye can see. Make sure to visit the Magoesbaskloof or see the cyclad forest in the Modjadjiskloof, where you as well will also find South Africa's largest baobab tree. The 'Sunland Baobab' tree's trunk houses a 60-seater pub and is such an impressive sight! Last but not least, Johannesburg, South Africa's premier gateway to Africa is worth an extended visit too. Whether going back in time to learn about the country's past in the Apartheid Museum, going on fun rides in Gold Reef City, visiting South Africa's most famous township 'Soweto' or shopping in Sandton's glitzy shopping malls, there are many fascinating places to explore during the day or to party the night away. 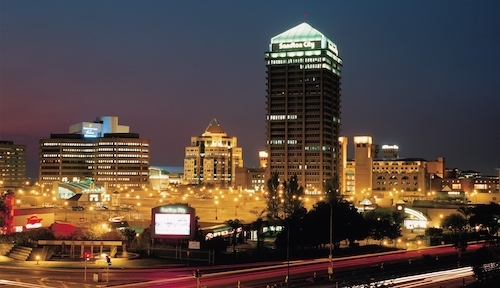 Find out about Joburg's attractions here. Enjoy living in South Africa and wishing you always safe travels! Need more great South Africa travel insights on the nine provinces or useful tips for living in awesome South Africa? Order your copy of the Living in South Africa guidebook directly from us or buy it in the local bookstores. Simply click on the book below and find relevant information how and where to buy the book. 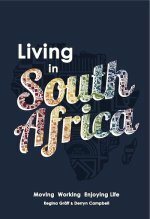 Our Living in South Africa ebook is out now too. Great handbook for all South Africa Travel Professionals. Learn what your international guests will want to know and have the answers right there! Personalised corporate copies and branding options available. Image Credits on South Africa Travel page: Shutterstock, SATourism, Mediaclub South Africa, Derryn Campbell and own.